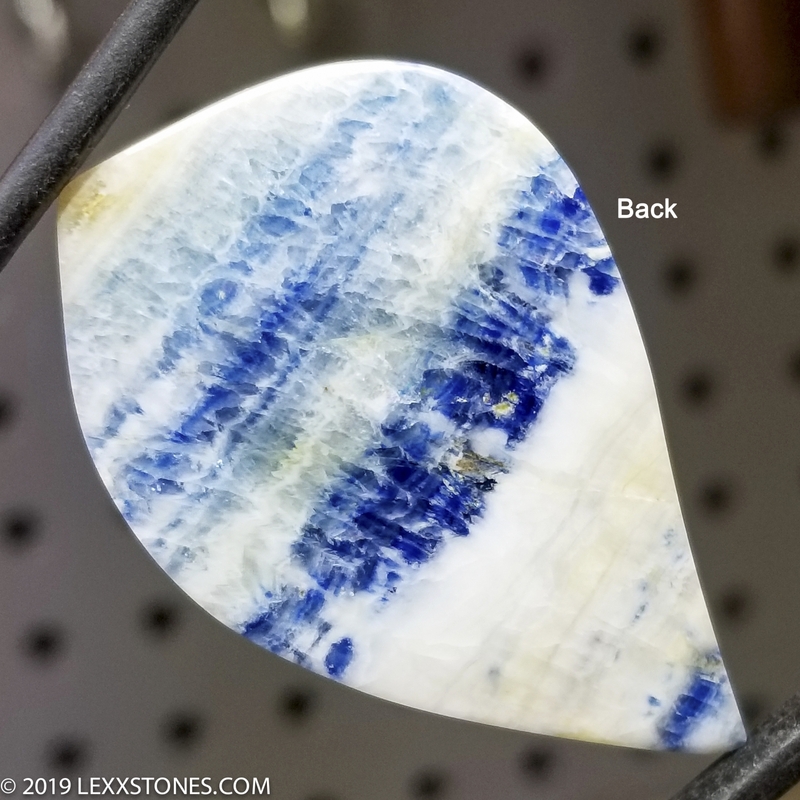 Here for your consideration is a beautiful, vibrant, deep blue Lapis Lace gemstone cabochon. 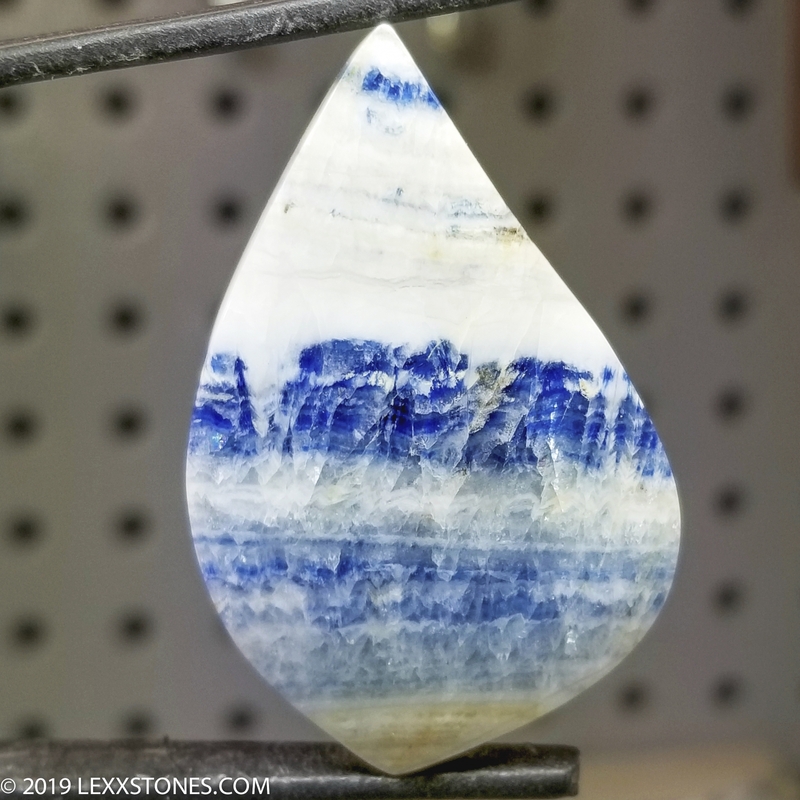 This delicate Turkish Marble-Calcite exhibits consistent natural Royal Blue Lapis stripes interspersed and woven with ivory white banding. We were lucky enought to acquire this higher grade material from the miner from Turkey while he was in Tucson a while back. Unheated, untreated, not dyed or glued in any manner. 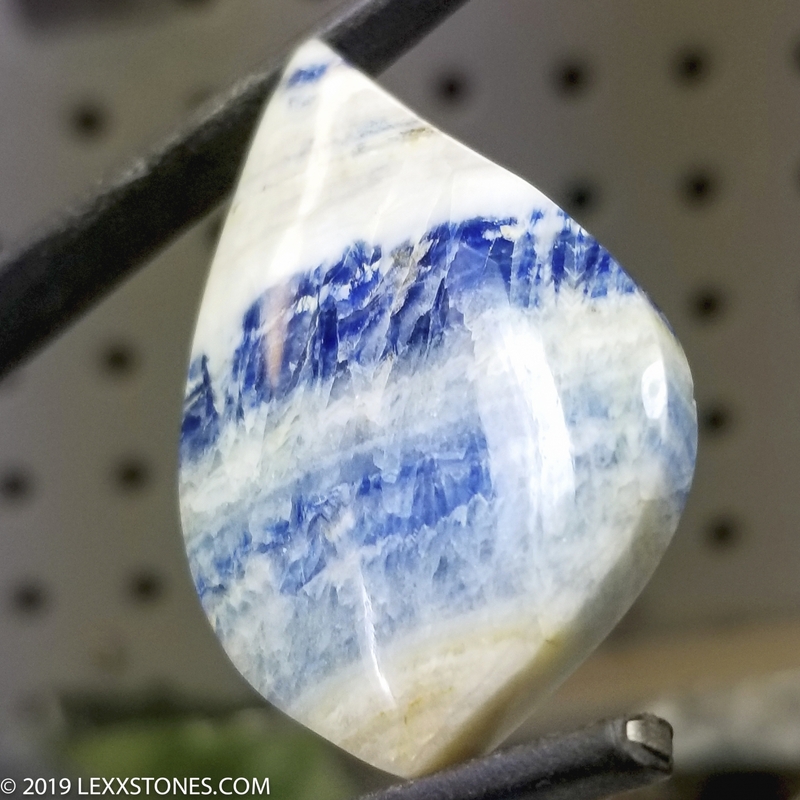 A lovely piece, great for bezel setting, or a dynamic pendant. Vitreous polish front and back. Generous high radius dome. Hand selected, cut and polished by Lexx. This Lapis Lace will make a beautifully bold statement in your next piece of jewelry. Quite an heirloom collectible as well! Ships USPS First Class within 24 hours of prompt payment. Please inquire if you'd like Priority or additional insurance. Everywhere Else, Standard Shipping Fees Apply. Sales tax applies to New York State residents. International Buyers Will Be Responsible For All Additional Taxes, Duties, Insurance Incurred With This Sale.